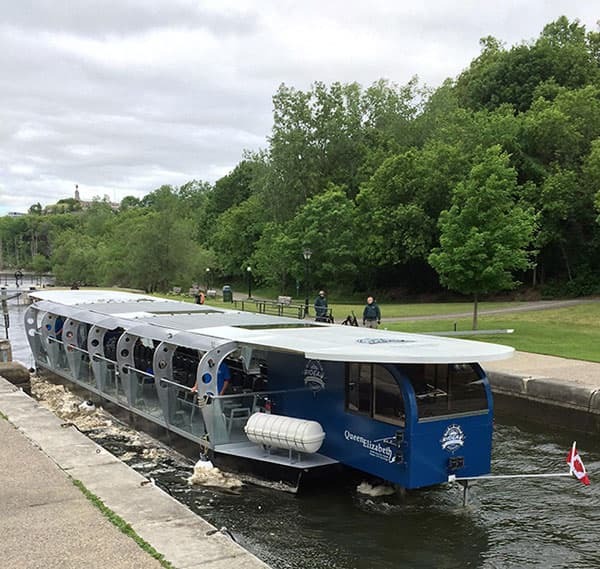 Photo svia Parks Canada[/caption] _ (press release via Parks Canada) _ For the 2016 season, Ottawa Boat Cruises will be offering a new, eco-friendly and unique cruising experience on the downtown Ottawa portion of the Rideau Canal National Historic Site. 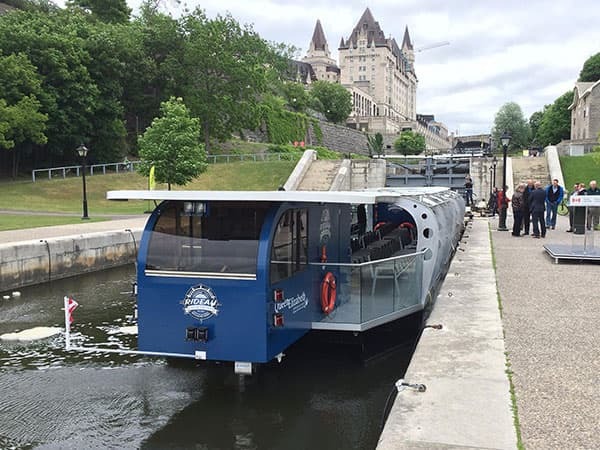 The Minister of Environment and Climate Change, Minister responsible for Parks Canada and Member of Parliament for Ottawa Centre, Catherine McKenna, officially launched the tour boat today. Two new state-of-the-art, purpose-built, electric boats will host visitors and locals alike for day-time tours and other special events. The locally built boats are the largest certified fully-electric passenger boats in Canada. The first boat, The Queen Elizabeth dr., will commence operations in time for Canada Day. The second boat, The Colonel By, will be launched in time for the 2017 season. This new service is the successful result of Parks Canada’s 2015 Request for Proposal for the downtown Ottawa portion of the Rideau Canal. 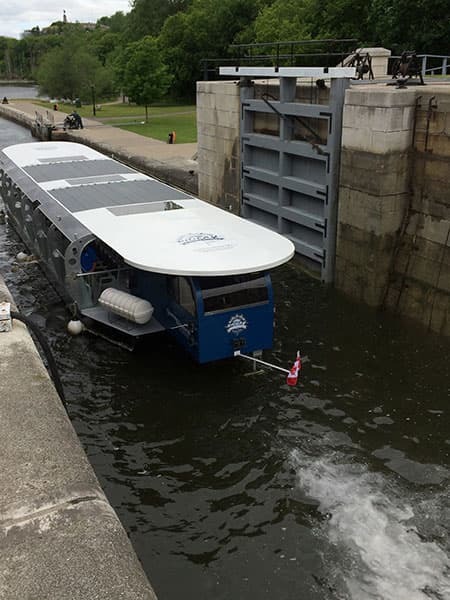 This is one way that Parks Canada is working with partners and communities to help the Rideau Canal be a premier tourism destination, foster recreation and support economic development along its whole length, from Ottawa to Kingston. June 10-12: Westboro Fuse ignites the street!